The LT METAL delivers the aggressive high gain tones that modern guitarists need. It features Blackstar’s patented ISF circuit, giving you.. The LT METAL delivers the aggressive high gain tones that modern guitarists need. 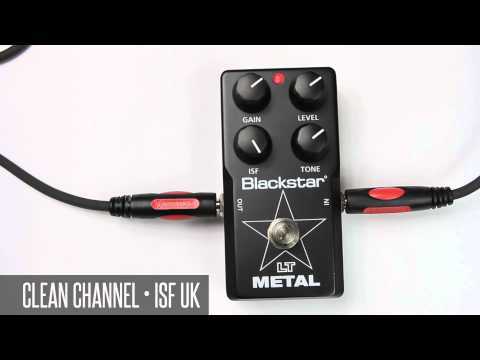 It features Blackstar’s patented ISF circuit, giving you infinite control over the tone. and taking you from scooped US high gain to classic British heavy metal and anywhere between. 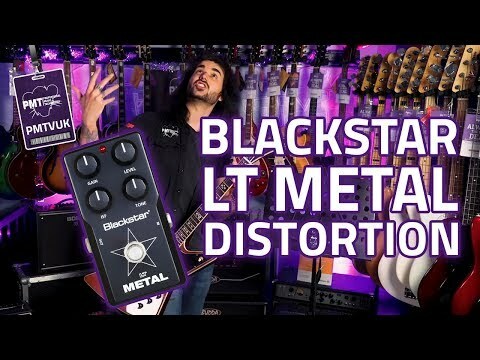 Blackstar’s clipping circuit delivers amazing valve-like tone for a wide variety of playing styles. The Gain control adjusts the amount of distortion that the pedal will deliver. As the LT METAL Gain control is increased clockwise. the sound will become more distorted. The ISF control works in conjunction with the Tone control. It allows you to choose the exact tone signature you prefer. Clockwise is a more American characteristic with a more aggressive mid range. Fully Clockwise is a British characteristic which is more ‘woody’ and less aggressive.